This tour takes you through the remote landscape of North Vietnam, home to many ethnic minorities. It gives you a unique experience of the impressive mountains, valleys, and passes of North Vietnam, with minimal physical stress. You will also be able to interact with the local people inhabiting the area and observe the peculiarities of local life. The tour promises 9 days and 8 nights of exciting and memorable Vietnamese experience. 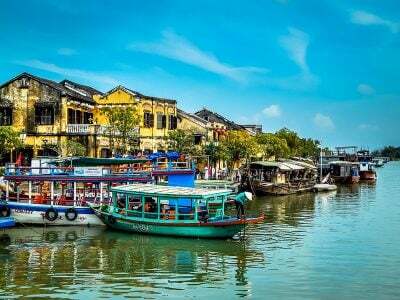 The tour begins in Hanoi, where you will take a trip of about two hours to the UNESCO-protected ancient village of Duong Lam. The village is a part of Son Tay Town and is the oldest village in Vietnam, offering an authentic cultural experience with views of houses, gardens, and temples that have been around for centuries. 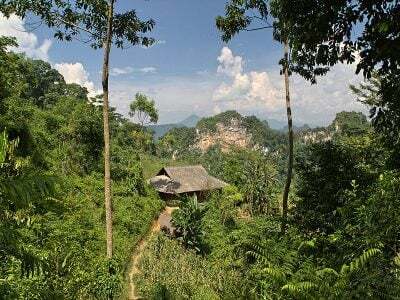 You will have lunch in one of the local houses before continuing your drive through the rice fields, tea plantations and numerous limestone formations of the rural countryside. You will arrive at Nghia Lo, where you will have dinner and stay overnight with a local family in a traditional stilt house. Nghia Lo is a town in Yen Bai Province which covers about 29km². You will take an early morning bike ride, enjoying the peace and quiet of this town. You will have breakfast outdoors while observing the local manual work of the villagers and the rice and corn fields stretching across the landscape. Afterward, you will head towards Mu Cang Chai, also in Yen Bai Province. 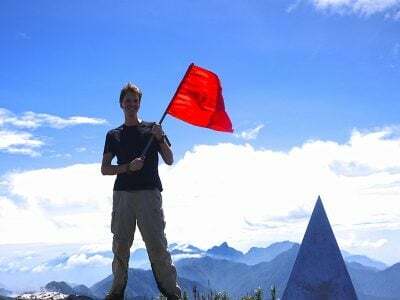 This rural district shares its northern border with a part of the Lao Cai province and is only accessible via the striking Khau Pha mountain pass. You will have a lunch stop along the way before continuing the drive to Nam Co Village. You can explore the local market and observe the rice terrace fields which stretch across 2,200 hectares against the mountainous landscape. You will have dinner and rest for the night with a local family in Kim Noi village. Following breakfast, you will take a drive of about 4hrs to Sapa. 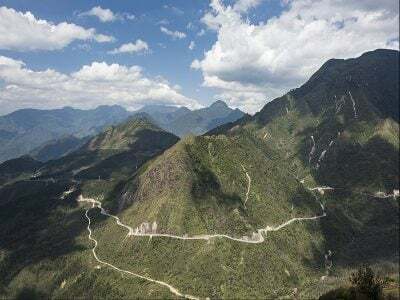 The drive takes you through Tan Uyen and across the Sin Ho pass. You will enjoy lunch in Sapa, after which you will take a walk to Giang Ta Chai Village where you will have dinner and stay overnight with a local family. Early in the morning, you will head out on a drive to Bac Ha, a rural district in Lao Cai Province. If you are lucky, you will have a chance to explore the early morning Sunday market. You will observe various ethnic costumes featuring colorful and complex handmade outfits, each of which may take up to 3 months to embroider by hand. After lunch, you will visit the oriental palace of Hoang A Tuong and take a drive to Ban Phung village, home of the La Chi ethnic people. Afterward, you will head to a hotel in Hoang Su Phi, where you will enjoy dinner and rest overnight. Hoang Su Phi is a rural district of Ha Giang Province famous for its rice field terraces which are classified as National Heritage by the Vietnamese government. It is also known for the Tam Hoa plum whose flowers must bloom three times before the fruits become ripe. You will also discover the impressive Tan Su Phin and Cong Troi pass, have lunch enroute before journeying northwards to Ha Giang to rest for the night at a homestay. In the morning, you will take a trip to Dong Van, famous for its weekly market and ancient buildings of clay bricks and tiled roofs. This trip will take you through the Cong Troi pass and Yen Minh. You will have lunch in Dong Van and then depart for Meo Vac, via the unique Ma Pi Leng pass on one of the most beautiful and stunning roads in Vietnam. Meo Vac is a small town covering about 574km². It is home to the Lo Lo, Tay, H’mong and Dao ethnic groups. After exploring the sights offered by the town and its colorful market, you will take a drive to Bao Lac for lunch, passing through many ethnic villages and passes. You will visit the Nung ethnic village of Pac Rang, where you will rest for the night and enjoy dinner with a local family. 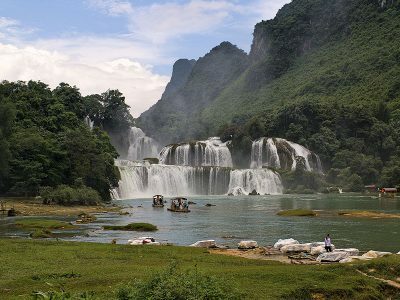 After breakfast, you will head to the mountainous Cao Bang. Here, you will discover amazing spectacles such as the ancient Ban Gioc Waterfalls surrounded by numerous mature karst formations, the famous limestone grotto of Nguom Ngao Tiger Cave and the Ba Be National park which is home to many plant and animal species. You will have dinner and stay overnight at a local homestay. You will have breakfast, after which you will head on a short walk through rice paddies to Bo Lu village. Here, you will board a boat which will take you on a 3-hour cruise across the Islands of Ba Be Lake. You will experience the sublime atmosphere and observe some of the numerous species of plants and animals native to the park. You may decide to take a refreshing dip in the lake before heading on to explore the Puong cave, home to thousands of bats. 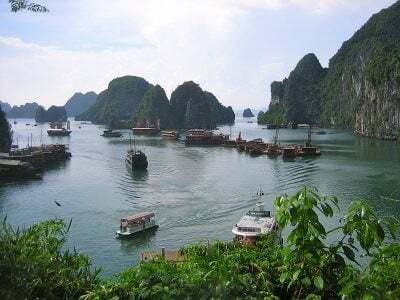 Afterwards, you will head back to Bo Lu village and have a relaxing and smooth drive back to the capital city of Hanoi.